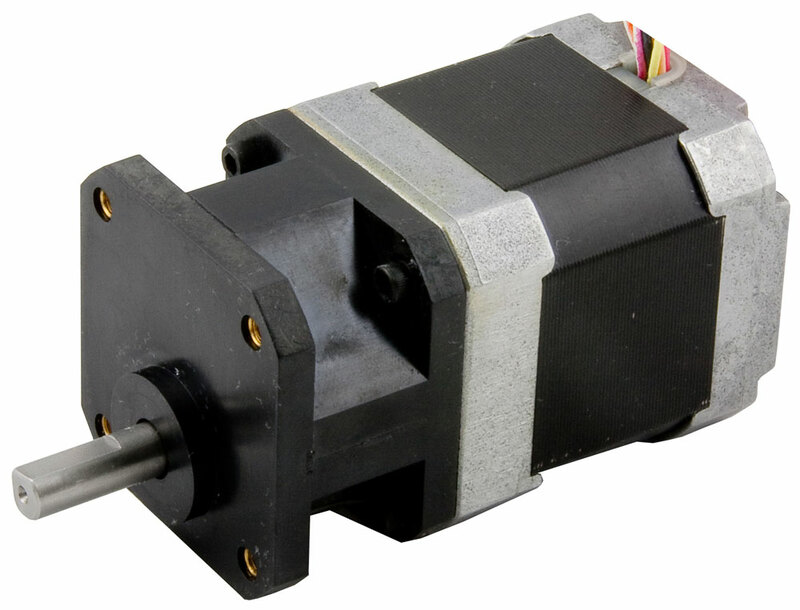 The gearmotors in this series combine some of our most popular NEMA 17 and 23 frame step motors with offset spur geaheads to create simple but strong gearmotor solutions for applications requiring high torque at low speeds. The gearheads utilize high-strength steel and precision hobbed gears in one-piece clusters, housed inside a high-temperature, molded composite housing. Composite bushings are used throughout the gearhead to create a cost-effective solution for light duty applications. The gearheads come with 5:1, 10:1 and 18:1 ratios. For more information including specifications, prices and drawings, click on the part numbers in the table below. If your application requires features you don’t see here, please contact us to discuss solutions.